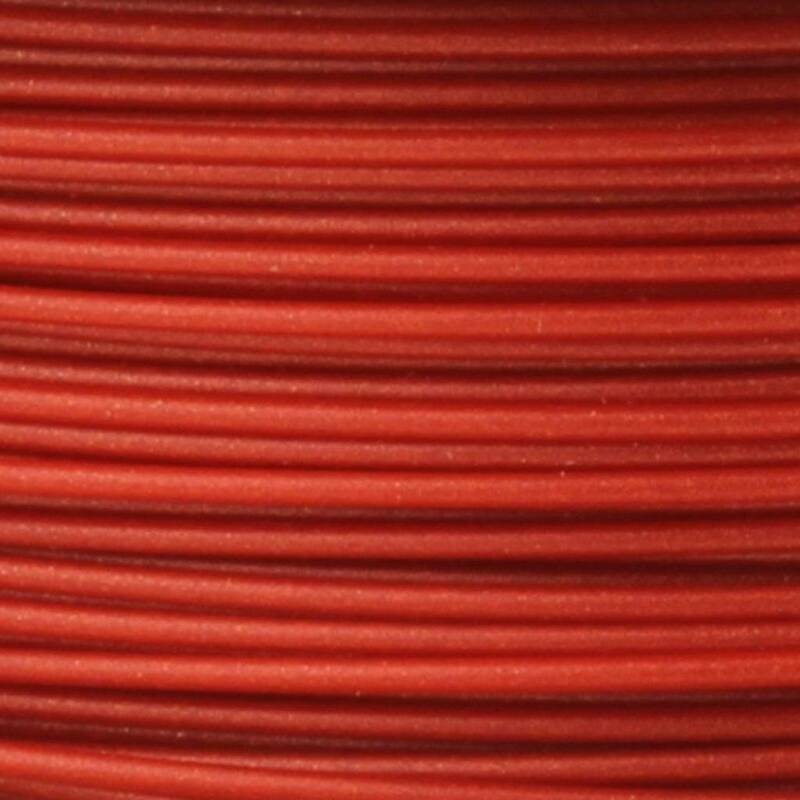 A vibrant red metallic HTPLA filament by Proto-Pasta . 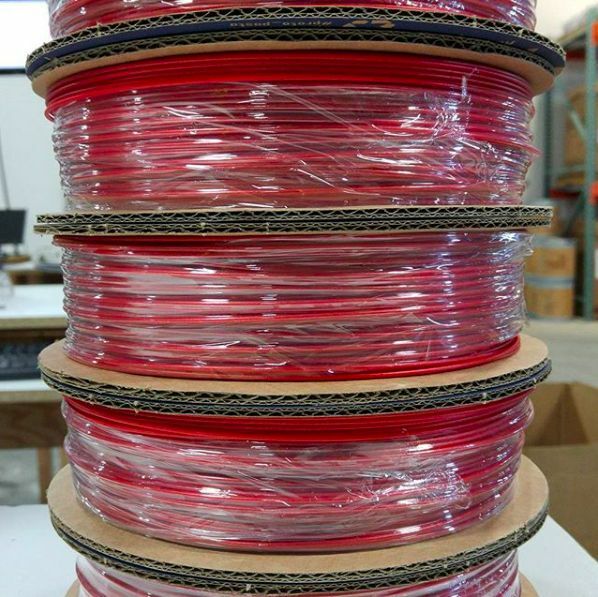 A hot and sparkly red, created from the highest quality, translucent HTPLA. Words can't describe. 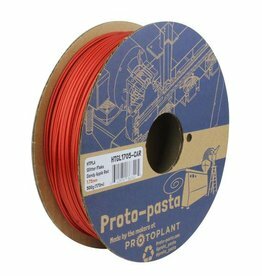 Good results were achieved using standard PLA parameters with standard build surface preparation (blue tape, glue stick, or BuildTak). 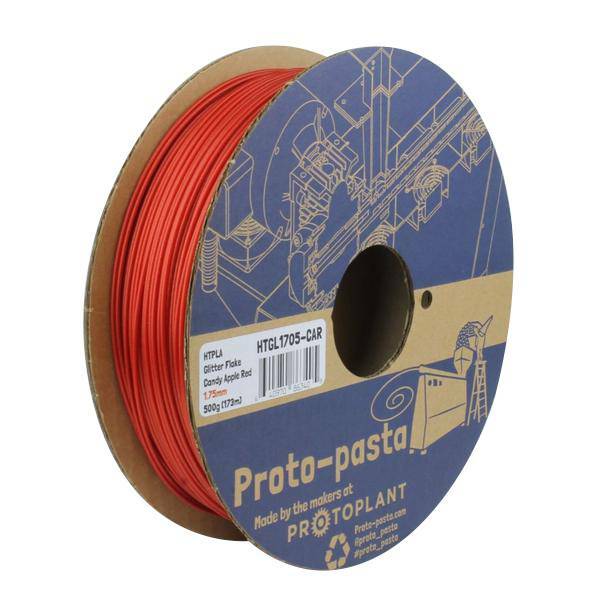 No heated bed required but up to 70 °C is okay.